A Diamond Select Toys Release! 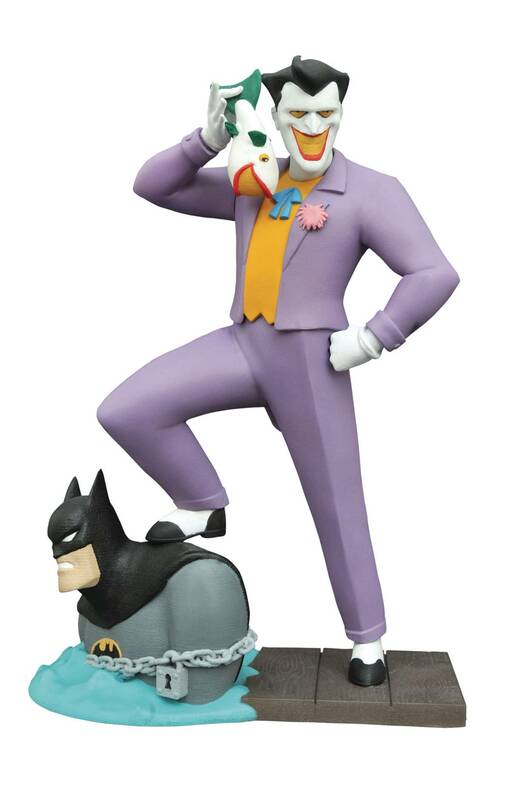 The Joker makes a triumphant return to the DC Gallery line! Based on the famous Batman: The Animated Series episode 'The Laughing Fish,' this rendition of the Joker shows him holding the titular marine life, with one foot on a chained and partially submerged Batman! This approximately 9-inch figure is in scale to all DC Gallery and Femme Fatales PVC dioramas, is sculpted with a high level of detail and features exacting paint applications. Diorama comes packaged in a full-color window box. Sculpted by Sam Greenwell!.